Satisfy cravings both sweet and savory with this tantalizing mix of delicious snacks. 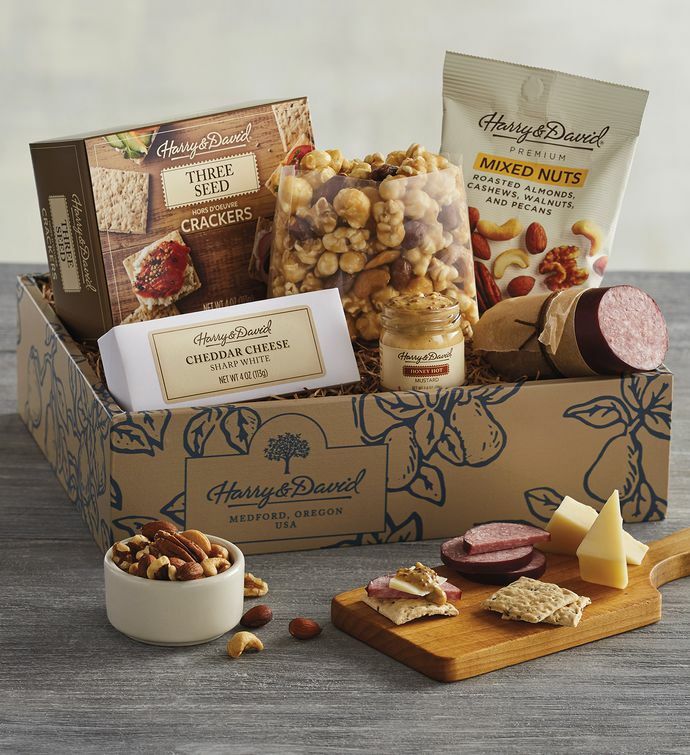 Flavorful, hickory-smoked summer sausage, creamy aged white cheddar cheese, and honey hot mustard are paired with our three-seed crackers. Premium mixed nuts and Classic Caramel Moose Munch® Premium Popcorn round out the assortment, perfect to enjoy anytime as an impromptu light meal or gourmet snack to share.